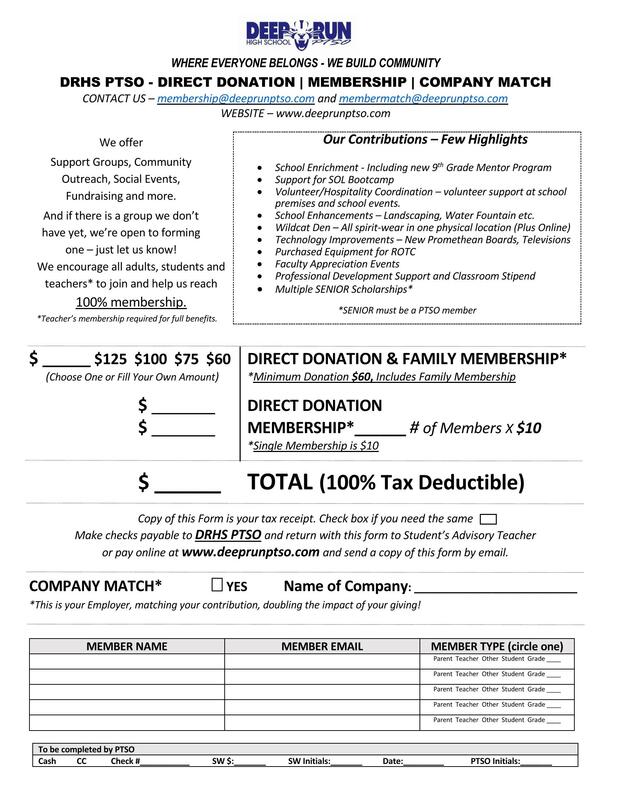 Why should I become a member of the PTSO and help fund its programs? Your membership in the PTSO directly benefits your child at Deep Run. The DRHS PTSO is the only organization that improves the educational experience of every DRHS student, family, and staff member. We fund our budget through your tax deductible direct donation.